For a little over 10 years the minimum qualification in naturopathy and Western herbal medicine in Australia has been the Advanced Diploma. After December 2015 all that changes, but the real question is how and why? In late 2013 I published a commentary piece in the Australian Journal of Herbal Medicine (Volume 25, Issue 4) which examined why we need to transition to Bachelor degrees, and the information below is based on that article. 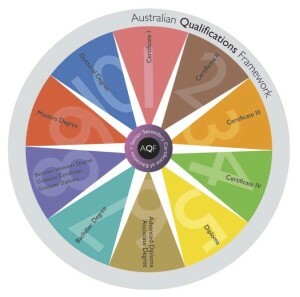 The Australian Qualifications Framework (AQF) is a national policy document which outlines the different levels of training and qualifications, and the expected course durations and graduate characteristics for each. It is important to note that this document doesn’t specify standards related to specific disciplines; it is about the generic features of qualification levels ranging from Level 1 (corresponding to Certificate I) to Level 10 (corresponding to Doctoral degree). Advanced Diplomas correspond to Level 6 in the AQF, and Bachelor degrees correspond to Level 7. The difference between Level 6 and Level 7 is in some ways one of the most profound in the AQF, being a demarkation point between vocational education and training (VET – Levels 1–6) and higher education (HE – Levels 7–10). Vocational education and training (VET) is aimed at teaching and assessing what is called “procedural knowledge”. Procedural knowledge – also known as “implicit knowledge” – is knowledge that can be used in process-related tasks, to enable effective performance of those tasks. Higher education (HE) often embraces procedural knowledge, but there is also a focus is on “declarative knowledge” – the ability to understand and describe the concepts and theories behind specific knowledge. The desired outcome is that graduates will be able to analyse and describe the concepts and theories behind a task or specific area of knowledge, critically analyse those concepts, and ideally construct new understanding and applications. For those interested, I highly recommend reading the AQF, particularly pages 13, 15 and 16. The document is available here. It is possible however to pull key themes from the learning outcomes within the AQF descriptors to see the primary differences between Bachelor degrees and Advanced Diplomas. This is shown in the table below. Application of specialised and technical knowledge and skill. Work “with some direction” when initiative, judgement, planning or management functions are required. Application of specialised and technical knowledge and skill, but “with depth in the underlying principles and concepts in one or more disciplines as a basis of independent lifelong learning”. “Responsibility and accountability for own learning and professional practice”. Critical thinking; solves problems with “intellectual independence”. “Well developed judgement and responsibility in contexts that require self-directed work and learning”. 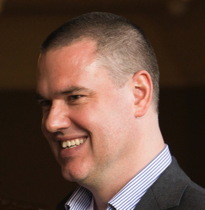 Works “in collaboration with others”. “a person to whom a particular aspect of a professional task is delegated but who is not licensed to practise as a fully qualified professional” (Oxford Dictionary of English 2013). Herbalists and naturopaths in clinical practice are primarily self-governing and autonomous in their practice. Whilst most naturopaths and herbalists work in collaboration with other health care providers, they don’t generally work in a delegate capacity or in direct support of a professional – they are responsible for the assessment of their patients and treatment decisions made in conjunction with the patient. In order to perform clinical tasks such as these, herbalists and naturopaths must have advanced theoretical knowledge to enable them to be intellectually flexible and capable of advanced critical reasoning. The development of such knowledge and critical reasoning does not fall into the domain of VET and is not adequately met by the AQF descriptors for Level 6 Advanced Diploma. As such the term “paraprofessional” is not truly suitable to describe naturopaths and herbalists, and a training standard which aims for this outcome is at best questionable. In early July this year the Community Services & Health Industry Skills Council (CS&HISC) decided to remove the Advanced Diplomas of Naturopathy, Western Herbal Medicine, Nutritional Medicine, and Homoeopathy from the Health Training Package in December 2015. This decision was made after many months of discussion and consultation revealed that the majority of stakeholders believed that these disciplines aligned better with AQF Level 7 than they did with Level 6. Therefore from December 2015 onwards, no institution will be able to offer the Advanced Diplomas to new students, but students already enrolled will be allowed to complete their training. Any accredited training institution (private college or university) who wishes to provide training in these disciplines to new students, will need to offer Bachelor degree courses. But what about me and my Advanced Diploma? One of the critical things to realise in this discussion is that the decision to move to a Bachelor degree as the minimum standard, does not simultaneously mean all those out there already with Advanced Diplomas are now irrelevant or somehow lesser practitioners. It is well known that many training institutions have been “over-delivering” for many years. Advanced Diploma qualifications are typically of 2–3 years full time duration, yet the AQF clearly states that they should be 1.5–2 years. When courses are reviewed in terms of their content, there is often a significant amount of underpinning theoretical knowledge in these courses. The course accreditation requirements outlined by some of the major associations such as NHAA make it clear that the expectation is to train professionals, not paraprofessionals, and most providers have their Advanced Diplomas accredited with one or more of these associations. All of this is likely in recognition of the fact that our profession needs a fundamental level of training which is more than “the letter of the law” for Level 6 Advanced Diploma. Indeed, with the release in late 2013 and early 2014 of the CS&HISC consultation paper, some submissions clearly pointed out the reality that many Advanced Diploma courses were being delivered in a way which made them closer to AQF Level 7 than Level 6. Even some of the units of competency (which make up each Advanced Diploma’s specification in the Health Training Package) add to the confusion with knowledge and skills pitched far above what should be the expectation for Level 6. And the confusion doesn’t end there. Whilst a number of units of competency point out that they need to be assessed in the context of a real or simulated clinical environment, there are no real specifications for clinical training in the training packages for these qualifications. Despite the fact that naturopaths and herbalists require training at a minimum of Level 7, professional associations are likely to continue taking graduates of the Advanced Diplomas as full practitioner members for the forseeable future. Again this is in recognition of the fact that many Advanced Diploma graduates have skills and knowledge exceeding the normal Level 6 outcomes, and also that continuing professional education – which is often a compulsory requirement of continued membership – helps to ensure those practitioner members continue to develop their knowledge and skills. The move to Bachelor degree as the new minimum level of training is a significant milestone in complementary and alternative medicine education in Australia. It is the beginning of a move towards being a true profession, and in time is likely to result in outcomes similar to that seen in other health care disciplines such as osteopathy and nursing, where it has opened up a greater number of career directions and opportunities. After all, if you have completed a training course which includes knowledge and skills at Level 7 and is closer to the course duration of a Bachelor degree, but you are only awarded an Advanced Diploma, wouldn’t you feel that your work was undervalued? Soon students will be able to commence and complete training which is more in line with the AQF standards, and which results in a professional credential reflective of the work they have invested in their training. And in turn, those graduates, as well as other health professionals and the public at large, will begin to recognise that we are not hobbyists or skilled trades-people, but true health professionals. I was fortunate to do a Bach of Health Science in Western Herbal Medicine which was very indepth. At the time that i was doing it a number of Colleges did offer the Bach degree but i noticed that they dropped back down to ADip, which was curious to me. It is important that we have the best education possible and also once we finish some sort of follow on. This is my passion and concern as well. As a RN as well as a Medical Herbalist I can see a huge gap in follow up support and education which needs to be filled. I am pleased they are bring the Bach degree back and now we need to keep figuring the rest out. Yes, it was difficult for some institutions to compete with the less expensive and shorter Advanced Diplomas out there, so they had no option but to shut down their degrees. Even the University of Western Sydney program in which I was involved faced that pressure. And yes I agree, the next step after we have some good nationally accepted Bachelor degree standards is looking at future academic pathways, as you have in nursing and similar professions.